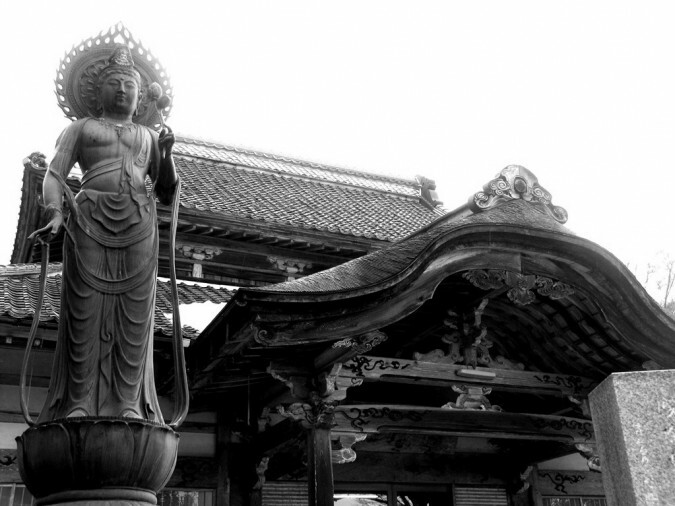 Mine-ji is a mountain temple located deep in Mitoya, deep in the heart of rural Unnan City. It was founded in 658AD and is said to protect against misfortune and to bring good luck. The garden was created by the lord of Matsue, Matsudaira Fumaiko, and incorporates the neighbouring mountian Iga-yama as borrowed scenery into the overall design. This mountain is mentioned in the ancient chronicles and is said to be the place to where the gods descended from the celestial plains. Mine-ji is well-known for its Shojin-ryori temple cuisine and for its fire festivals, which we are fortunate enough to see when we visited. See our Shinbutsu Pilgrimage video for more details.